When you’ve got a really great idea, you’re probably torn: Do you express your excitement and tell everyone you know, or do you keep it under lock and key, afraid someone else might take it and run with it? 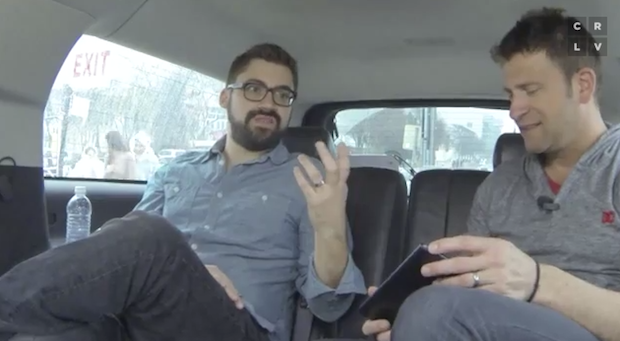 At SXSW, CreativeLive co-founder Chase Jarvis spoke with author and artist Austin Kleon about why letting the world see your process is one of the best things you can do. “It takes so much… One of the things that happens that you learn about teaching is that you don’t create instant competition,” Austin explained. Just because you tell others about your process, Austin says, doesn’t mean the people you tell will immediately go do exactly what you do. They may be inspired by your work and they may learn from it, but exposing your process doesn’t set you up for direct copycats, because few other people will have the time and the passion to do what you do.